Brand new Americana act Roustabouts in Bowties is taking the roots music revival to new levels with their upcoming debut album release and supporting tour. Bolstered by first single, the rustic fiddle ballad "Ye Art a Fine Lass," the 7-piece act will hit the road in July to promote their self-produced, self-released, self-designed, self-printed, self-promoted, self-packaged, self-shipped debut Claptrap Monkeyshines. 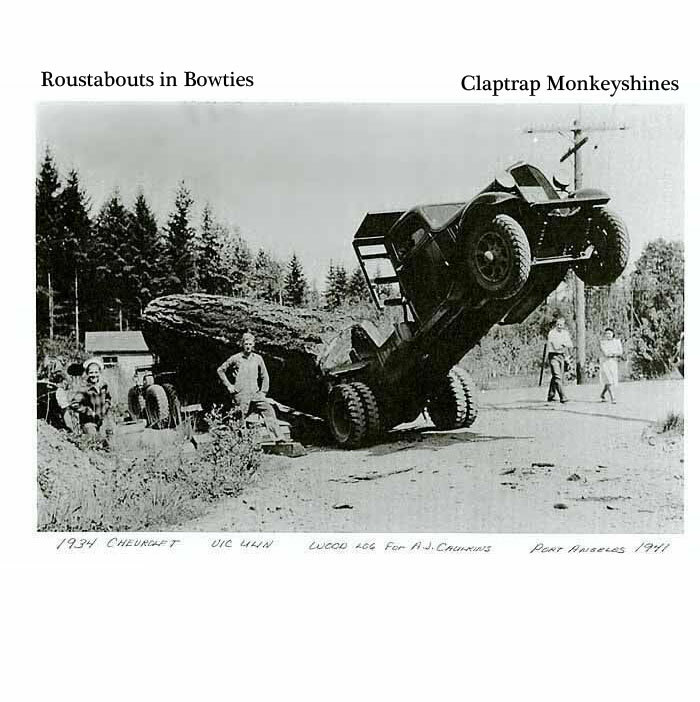 Recorded in an abandoned Alberta dogtrot, Claptrap Monkeyshines boasts 10 original songs and a cover of a song from a 1932 field recording of a nameless jug band. Penned by lead vocalist Bjorn Blacklung, the original tunes span the tempos from dirge-like to lullaby. "We want to be the most authentic band to ever exist," smiled Blacklung, through a blue haze of corncob pipe smoke. "It isn't enough to never groom our beards, to farm the cotton that makes our hand-stitched extra stiff denim clothes, spend 3 years learning to duplicate records at home, and take our inner sleeve photos with a vintage tin-type, we must live the life." Leaving their Montana wilderness shack collective for the first time in ages to tour "the great expanse" as they call it, the Roustabouts will play 36 cities over the next 3 years (they're going on horseback). Lead musical saw player Mose Dustworth tells us he most looks forward to taking a break from splitting wood and watching for grizzly bears for a nice long spell. While the Roustabouts' aesthetic is bucolic, the actual release will come in multiple formats, including high fidelity wav files, phonograph cylinders, and cassette tapes dubbed on their own 1989 RCA home stereo. It will also be available on 380g sawdust tan vinyl that doubles as a frisbee for disc golf. The band cautions that when using the record in disc golf competition, that all other players be out of the line of fire. 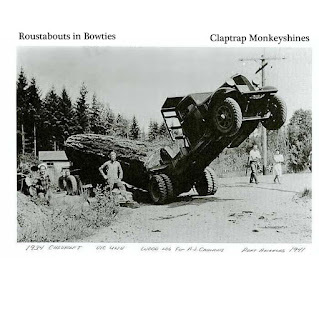 The band is not responsible for injuries or deaths caused by thrown copies of Claptrap Monkeyshines.